Dr. Mina Hah | Addiction | MD for Moms Radio | Carly Snyder, M.D. Posted February 5, 2019 by Carly Snyder, M.D. This week on MD for Moms, I’ll be interviewing opens in a new windowtriple board certified psychiatrist Dr. Mina Hah, who specializes in addiction, child and adolescent and also adult psychiatry about use of marijuana, alcohol and how substance use overlaps with mental illness. Marijuana use is increasingly common as it becomes legalized in more states, but is it safe? What concerns exist for parents of teens using marijuana and what can be done to keep kids safe from the dangers associated with marijuana? 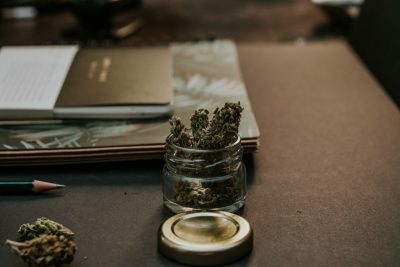 CBD oil is also available and differs from THC, and Dr. Hah will explain what the differences are and if CBD is all that some make it out to be. We will also explore alcohol use, when drinking goes from being a social past-time to becoming a problem and treatment options available for alcohol use disorders. Finally, we will discuss use of medications like Xanax, Ativan and Klonopin, when can they be helpful and when are they harmful? All of this and more on this week’s MD for Moms. Dr. Mina Hah graduated from Columbia University and completed her medical training at The Ohio State University College of Medicine. She completed her residency training at the University of Pittsburgh and completed a child and adolescent psychiatry fellowship and a research fellowship at Stanford University. Areas of research included the study of genetic risk factors for suicide in the pediatric bipolar population as well as depression in the autism spectrum population. 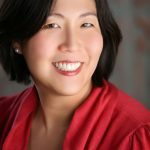 Dr. Hah has presented her work at the American Psychiatric Association (APA) and American Academy of Child and Adolescent Psychiatry (AACAP), and has published in the field of bipolar disorders and autism spectrum disorders. She was the attending supervisor for Stanford psychiatry residents and medical students at the Palo Alto VA and at Children’s Health Council. At the Palo Alto VA, she led the dual diagnosis unit and at Children’s Health Council, she headed the ADHD clinic, provided school consultations and outpatient care. She was an invited speaker at the Stanford Pediatric Psychopharmacology Conference for ADHD case series and the Stanford Autism Working Group for the Presentation of Depression and Anxiety in Autism. for Sutter Center For Psychiatry in Sacramento, CA. Currently, she is an Associate Professor and the Psychiatry Clerkship Director for California Northstate University School of Medicine. She was honored by a Distinguished Fellow status from the APA and is elected by her peers to be the Treasurer of the local APA chapter.